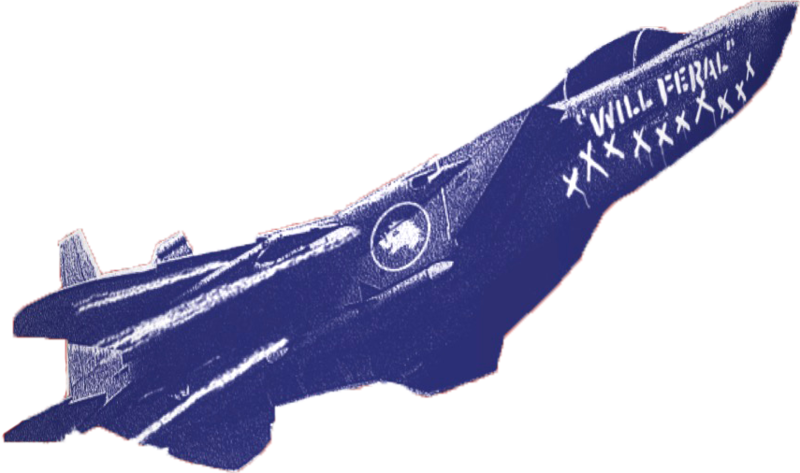 F-15 has landed in stores Australia wide - Feral Brewing Co. 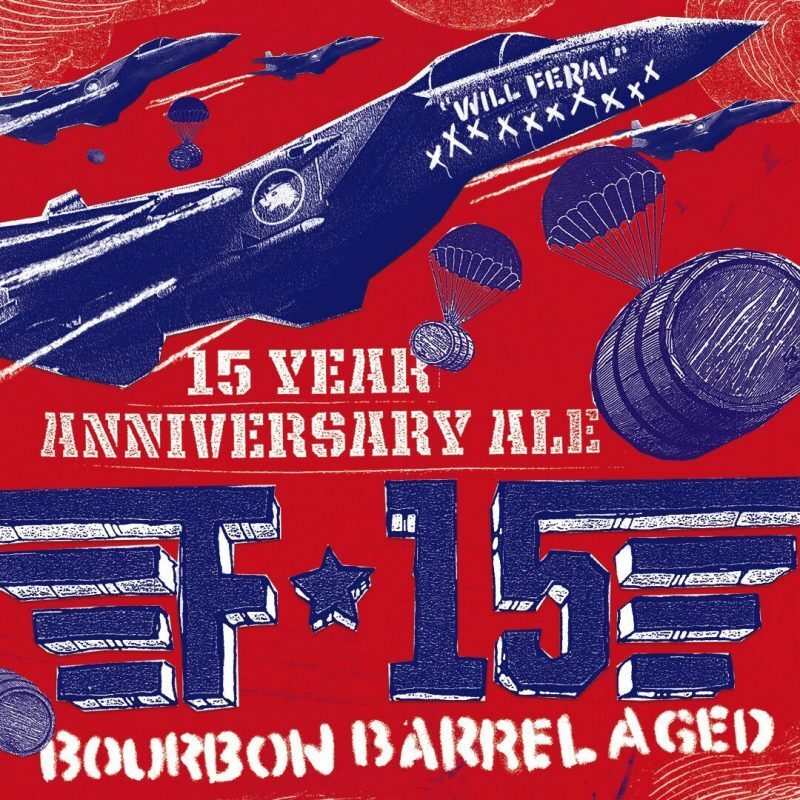 This October marks 15 years since Feral Brewing Co. first opened its doors in the Swan Valley and we figured what better time to launch the brand spanking new F-15 bourbon barrel aged ale. Left to sleep in old Heaven Hill Distillery Barrels for 6 months, this F-15 delivers a payload of toasty, malty chocolate flavours. Complemented by smooth caramel toffee notes, plus undertones of vanilla, coconut, oak, dark dried fruit, tobacco and charcoal, it creates the ultimate, luscious mouth feel. Coming in at a massive 9% ABV, it’s not for the faint-hearted. It is the first large scale, bourbon barrel aged ale project of its kind in WA, and an indication that Feral will always continue to push the boundaries and create innovative brews unique to our little brewery in the Swan Valley. A dogfight 15 years in the making, this anniversary ale celebrates all the Mavericks who helped us throughout all our brewing adventures. For over a decade our small brewpub in the Swan Valley has been handcrafting a selection of unique beers. What started with sharing a few kegs with some of the country’s leading beer venues led to Feral’s permanent bottled range. The brewpub series once again brings a select few of our favourite beers out of the Swan Valley and into your hand.